As a kid, I ate my fair share of Boo Berry and Smurf-Berry Crunch. I was the type who saved all her Lucky Charms marshmallows until the very end of the bowl and then slurped down the blue- and pink-tinged milk. 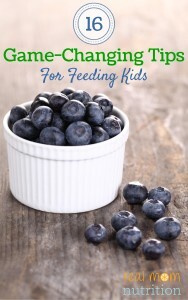 But when I had my own kids, I struggled with what to do about cereal. When I took my boys grocery shopping with me, the boxes of Cookie Crisp and Trix beckoned them from the shelves. When Sam was a toddler, he went so far as to grab a box, run down the aisle away from me, and chew a hole right through the cardboard. Mortified, I put the box back on the shelf and high-tailed it out of the cereal aisle. Not one of my finer moments. I wasn’t willing to buy those cereals. So I compromised, choosing ones that were sweet but didn’t have dyes, like Frosted Mini-Wheats. But the amount of added sugar in those brands bothered me too. So I stopped buying them. And I gave myself over to the role I was born to play: Boring Cereal Mom. You know her. Nobody wants to have a sleepover at Boring Cereal Mom’s house, right? Surprisingly, my kids are actually okay with these cereals. I’m shocked that Sam (our resident sugar fiend) will eat plain shredded wheat. Yes, I add sugar. But I add very little of it–between one-quarter and one-half teaspoon per bowlful. That adds just 1-2 grams of sugar. It’s enough to make some bites sweet. It’s not enough to make every bite sweet. I also think part of it is psychological: When they see their dietitian-mom sprinkling sugar onto their food, my children act like they’ve won the lottery. These are five cereals in heavy rotation at our house right now. These also tend to fit into my grocery budget (I try not to buy a box for more than $3, so I shop sales and buy store brands when possible). Made from 100% whole grain wheat with 7 grams of fiber per serving. It’s unsweetened, so you can add a little sprinkling of sugar or drizzle of honey if you want. I buy the Aldi brand. 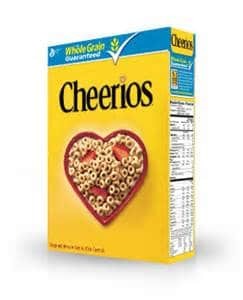 Made with whole grain oats, Cheerios have just a single gram of sugar per cup (the “original” kind, not the flavored varieties). 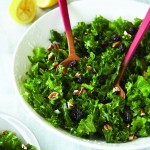 I like mine with a small handful of walnuts or slivered almonds on top for more staying power. And have you heard that original Cheerios are now GMO-free? The same snap-crackle-and-pop entertainment of Rice Krispies but made with whole grain brown rice instead. These have just 1 gram of sugar (instead of 4 in regular Rice Krispies) and are organic. This counts as a “fun” cereal around here. These lightly sweetened puffs have just 5 grams of sugar per bowl (the amount I try to stay at or under when buying cereal these days). They also have a respectable 5 grams of fiber plus some protein. They’re GMO-free as well. 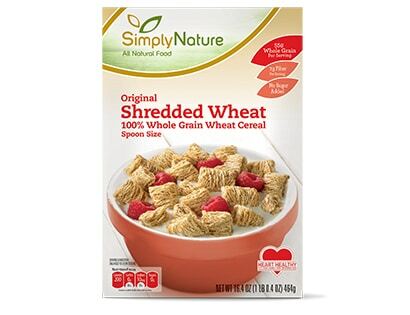 The first ingredient is whole grain corn so they’re a good source of fiber, with just 3 grams of sugar per serving. Plus they’re fortified with nutrients that some kids are lacking, like iron and vitamin D.
What are your family’s favorite cereals? Disclosure: I am a member of the ALDI Advisory Council. However, I was not compensated for mentioning Aldi in this post. All opinions expressed are my own. I always buy MOM”s cereal. It’s availabe in my area. less sugar, fewer ingredeients. sometimes cheaper. But I just buy it! they have several different options for cereal! My kids don’t eat much cereal. Don’t get excited, they eat a lot of bagels for breakfast! I like MOMs cereals too–they seem like a pretty good value. I just bought the Spoonfuls this weekend, looking forward to trying them! Hi, “Boring Cereal Mom,” I’m “No More Cereal (for breakfast) Mom,” nice to meet you 🙂 Two years ago, I realized that cereal just didn’t fill my kids and they were hungry ALL morning… In theory, cereal was easy, but, in practice, it was a pain because it was only breakfast “round 1” for my kids!! 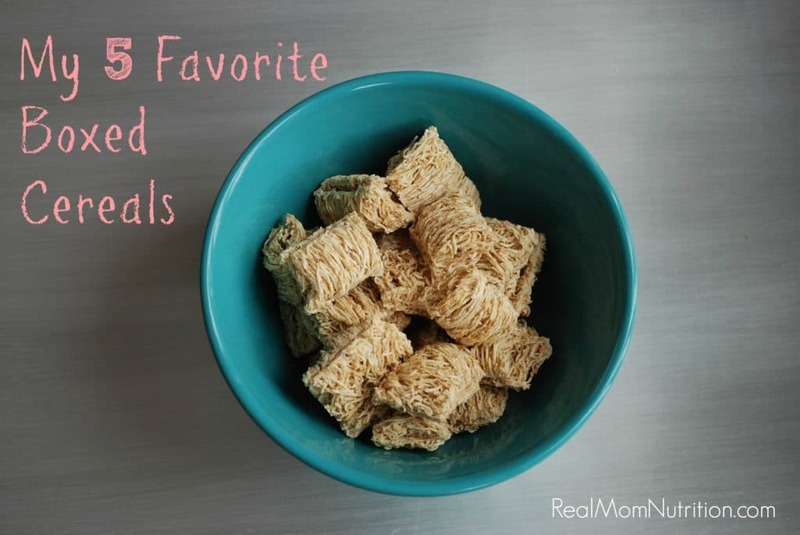 Actually, the only two cereals in our house at the moment are the Aldi shredded wheat, and the Aldi Organic O’s (like Cheerios) which my kids occasionally have for a snack (and even once or twice for dinner 😉 I haven’t bought Kix in a long time, but I always loved it and bet they would too!! By the way, just found your blog and can’t wait to explore it some more!!! I’m so glad you mentioned Aldi’s cereal. I have become a nearly exclusive Aldi shopper, and I’ve been amazed at all the great products they have (and of course, love the prices). Down here, I believe there is this misperception that what they have is “inexpensive junk” but I really don’t find that to be the case. Great round up. Wheat Chex is a favorite in our house. Also Cheerios. I rotate in grape nuts flakes and granola, and maybe another sweet-ish cereal. I found that mixing up the choices keeps them interested, and if they sometimes get the sweet kind they are OK with having the not sweet kind most of the time. I have a tough time finding variety with organic cereals because we have to avoid anything produced in a facility that processes peanuts. 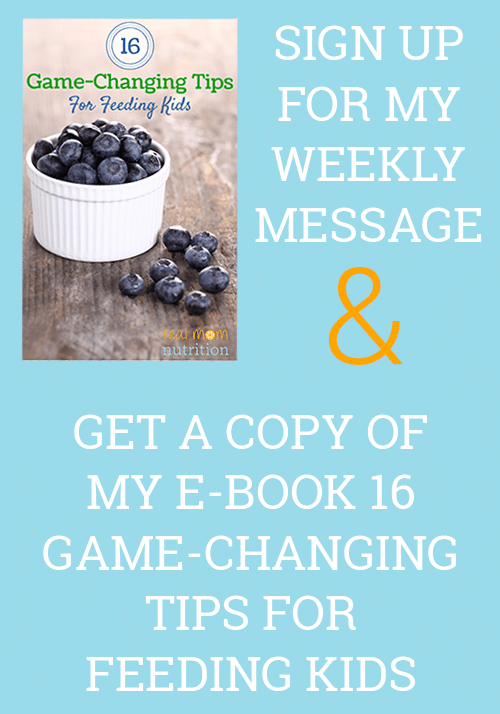 Thanks for this article and cereal suggestions! Just found your blog through Its not about nutrition. Hey Deborah–I used to be a big fan of Mult-Bran Chex but it looks like they were discontinued. Bummer. I like your point about mixing up the choices. I do buy sweeter cereals every once in a while but try to stay with around 5g/serving for our mainstays. Thanks for your comment! 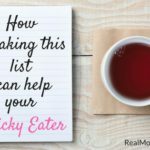 This list is almost exactly like our list at home, except I’ve never seen the brown rice crisps! Will have to look for those. My kids won’t eat shredded wheat but I always buy it anyway because then I know there’s something for *me* to eat. 😉 Our biggest problem right now is the kids like the flavored oatmeal. We mix it with some plain to cut the sugar but if we get the proportions off just a little bit, they reject it wholesale. Sigh. 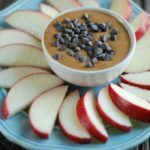 Angela–I used to buy flavored oatmeal too, but switched over to homemade and found a combo my son likes: I use old fashioned oats, about 1-2 tsp. brown sugar, and a generous sprinkling of cinnamon, plus milk. Microwave (with a small plate covering the bowl so it doesn’t erupt) for a minute. It’s still chewy, but we like it that way. Maple syrup is a hit too. If you need to make it a little extra sweet at first until they adjust, that’s okay. 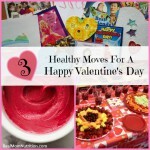 Then gradually make it less sweet until you’re using an amount of sweetener you’re okay with. Thanks for the suggestions! 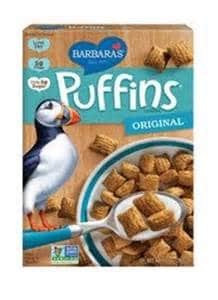 I love cereal (so does my 2 and a half year old son) but finding something that’s not loaded with sugar is hard in the average cereal aisle! I generally have Cheerios (or usually the Trader Joe’s brand, as it’s way cheaper) and Grape Nuts to sprinkle on top to add some extra “crunch” texture. My son had been liking Trader Joe’s shredded wheat, until he decided it was “yucky,” but I’m guessing he’ll come back to it eventually. My son also loves “Daddy’s cereal” (Honey Nut Cheerios), which I give him occasionally as a snack. 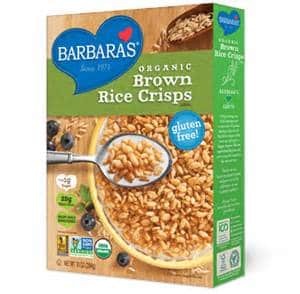 I’m going to check out the Barbara’s cereals next time to have some more variety, and I used to LOVE Rice Krispies (actually I still do, but won’t let myself buy them!). I also have old fashioned oats on hand at all times and have been making a lot of oatmeal sweetened with a bit of maple syrup and fruit, which is an especially great winter breakfast! Thanks for your comment Amber. Kids can be fickle, can’t they? 😉 If you like Rice Krispies, you should definitely try the brown rice version. I really like it! We buy Erewhon no salt puffed rice and Nature’s Path Envirokids corn flakes but only 1 box of each once a month for a treat. They only get to have a bowl when we oversleep and have no time to make breakfast or sometimes I’ll turn the rice crispies into marshmallow treats. Nature’s Path has good cereals! 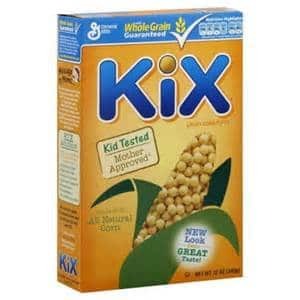 I totally buy Kix now because of this post. Which reallybour only cereal period. I buy my kids Honey Bunches of Oats as a “treat”. Hi from boring cereal land! (Though I let my kids picky out a special birthday cereal each year). We follow the 5g of sugar or less rule too, and we do cheerios, wheaties, kix and Alpha-Bits. which has 6 grams of sugar but also a cartoon character on the cover so it makes me semi cool if I buy it for them.